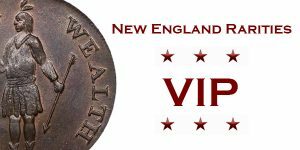 New England Rarities was formed in 2005 with the goal of offering choice, appealing colonial coinage and early Americana to variety and type collectors. Since that time we have placed many exceptional pieces in over 1000 collections. Our goal today remains the same as when we started. We look forward to working with our old friends as well as helping new clients in their pursuit of these fantastic items from our past. Michael started collecting coins at the age of 3 months when he became the youngest member of the Civil War Token Society. After attending many coin shows over the years, Mike became interested in colonial coinage following in his father’s footsteps in 1991. Careful study of die varieties in advanced collections led Mike into focusing on New Jersey coppers and St. Patrick’s coinage. As a teenager, he had a bourse table at many EAC conventions. A move from New Jersey to the South Shore of Boston in 1999 help further his interest in colonial coinage and he began working with another well known colonial coin dealer. During that time Mike learned “the coin business” and began New England Rarities in 2005. He also published the New Jersey copper Condition Census for many years until turning over the information to a prominent collector who is in the process of publishing a book on NJs. In November of 2010 Michael was elected a Regional Vice President (New England Region) for the Colonial Coin Collectors Club. Mike looks forward to working with new and old board members assisting in the growth of one of the finest clubs in all numismatics. Michael looks forward to helping collectors fill the tough holes in their collections, whether looking for the perfect type coin or tracking down that R-7 die variety, and anything in between. Our company website, nerarities.com has many great features for our visitors. We plan to have new updates to the website a few times per week making sure our site does not become stale like many coin websites out there now. Home Page: This is where you will find our NER VIP link, our featured coin and where to find us next. NER VIP: This is a special section of the site accessed from the homepage where you can sign up for our VIP mailing service. The VIP email allows our loyal customers to have first shot at all our new inventory before it appears on the website. Inventory and Archive: Here you will find coins we currently are offering for sale as well as special pieces we have sold over the years. Please note that none of the Archive coins are currently for sale. About Us: This drop down link offers a lot of information about New England Rarities such as information about our company, our policies and our club affiliations. NER Blog: This is a section that is replacing our old letter to the readers. The NER Blog will feature current news about nerarities.com and a current market analysis. Unlike the letters to the reader in the past, this section will keep growing like a normal internet blog so you can go back and review older posts. Show Schedule: Quite simply, this is a list of the shows New England Rarities will be attending in the future. The nearest show will also be detailed on the Homepage. If you see an item on our website that interests you, there are several ways to place an order through New England Rarities. All coins are one of a kind, so checking the website often is the key to acquisition. You may reach us by phone (9AM to 11PM ET) or email (Mike@nerarities.com) anytime. We take orders on a first come, first serve basis. New England Rarities accepts payments made by cash, personal check, cashier’s check or money order. Please note that personal checks must clear our account before the coins are shipped. Coin orders valued under $1000 and delivered in Massachusetts are subject to sales tax. New England Rarities does accept a layaway plan on all our items in our inventory. We are willing to accept payments on a two-month schedule established at the time of ordering (1/3 at time of purchase, 1/3 in 30 days and 1/3 in 60 days). Please notify us of your desire to use the layaway program before ordering any item from our website. Please note that the title of the coin will remain with New England Rarities until the item is paid in full. Returns on items are gladly accepted as long as they are returned within 7 days of receipt. We will refund the purchase price. If a coin is sent in a third party grading service slab and it has been removed from the slab, there is no return. If you are returning a coin, please notify us your intent as soon as possible so we can relist the item on our website. 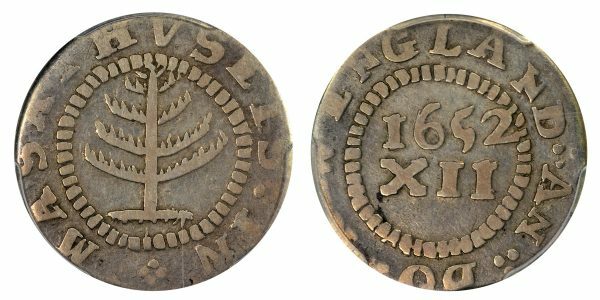 New England Rarities guarantees all items for sale to be genuine examples of colonial coinage and currency unless identified as copies, electrotypes or circulating counterfeits. Coins slabbed by PCGS, NGC, ANACS or any other third party grading service will be subject to their own guarantee of authenticity. All coins listed on the website will usually be sent out by registered mail and insured. We ask that in the case of any returned items that the same process be followed when shipping coins back to us. All coins sent to customers will be free of shipping charges. New England Rarities does not have a retail location in the United States and all coins are stored in a bank vault.